The Facebook messenger is used by millions of people on Android/iOS devices. 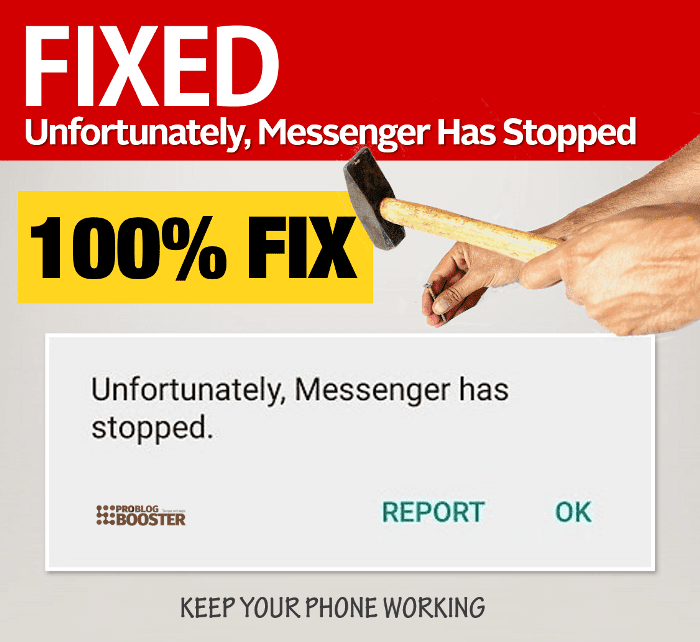 However, an Android is one of the best mobile operating systems in the market but, there could be a chance of receiving this error message saying "Unfortunately, Messenger Has Stopped" either while using the messenger or while opening it. Below are a couple of reasons behind the occurrence of 'Unfortunately Messenger has Stopped Error' Message. However, as far as I can say, no any specific reason is present, but below are the possibilities due to which the application is forcing the app shutting down with the error message. Loads of messages/chats saved on the messenger applications including media files like images, videos, animations, links, etc. Multiple chats are kept open unnecessarily even-though they were too old. Junk files generated when you keep using the application and they were not cleaned for a long time. So, make sure to clean your Android phone on a regular interval by using the built-in application or by using any other application from App store like Clean Master, etc. Both the above-mentioned reasons are not only applicable for messenger app only, but they are applicable for any of the apps on your Android triggering "Unfortunately, 'YouTube, Messaging, Contacts, Gallery, etc' stopped working". Just Force quite or Kill the messenger application. And Restart or Reboot your android device. Sometimes, a simple restart or reboot does the job. Scroll down and tap on Messenger option. Also tap on Turn off or Disable button. Launch App store and search for Facebook messenger. Re-Install the application on your android device. Search facebook messenger apk mirror >> on Google. Try to download and install Older Version of messenger app. The above-mentioned steps can not only help you fix Facebook app error but resolve similar kind of error for any other apps on your Android phone which showing "Unfortunately, 'App name: YouTube, Messaging, Contacts, Gallery, etc.' stopped working."